"It will go faster if Brian and I help," offers Steven. "Actually," says Barbie. "I'm pretty capable of doing this by myself." "Ok, no worries. I'm going to get a coffee. Anyone want one?" "Yes, please, Steven. Thanks! 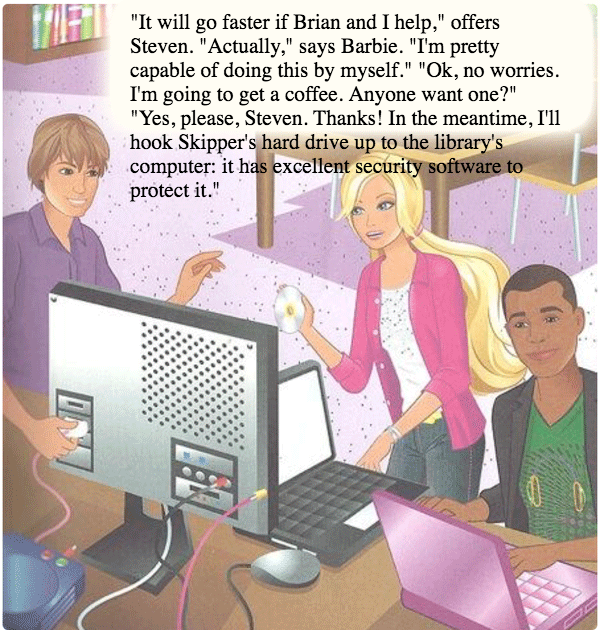 In the meantime, I'll hook Skipper's hard drive up to the library's computer: it has excellent security software to protect it."